21 Ways To Spend A Day in Paradise! 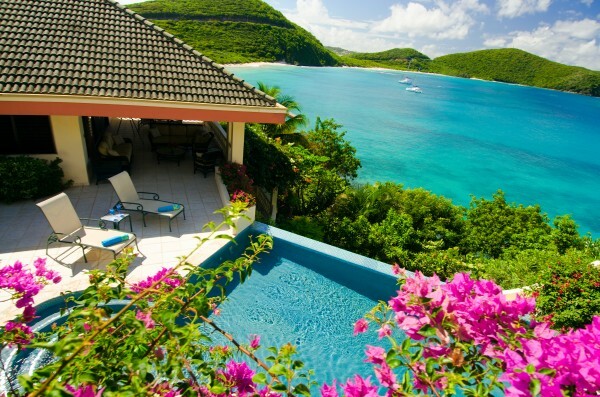 I tell my villa guests, if you can pry yourself away from A Dream Come True and “our” three beaches (Savannah Bay, Pond Bay, Mahoe Bay), go visit the other magnificent beaches on Virgin Gorda and enjoy their snorkeling and vistas of the sea! Each has its unique character and is beautiful in its own way. Virgin Gorda has great road signs such as these all over the island. They’ll direct you to many places where you can spend several pleasant hours. How to choose? Maybe you’ll need to come for 14 days! 1. 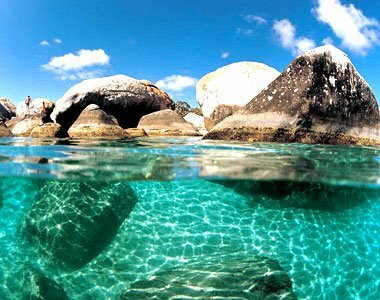 Visit THE BATHS and other National Parks Beaches, which are gorgeous, exotic beaches strewn with gigantic boulders. 2. 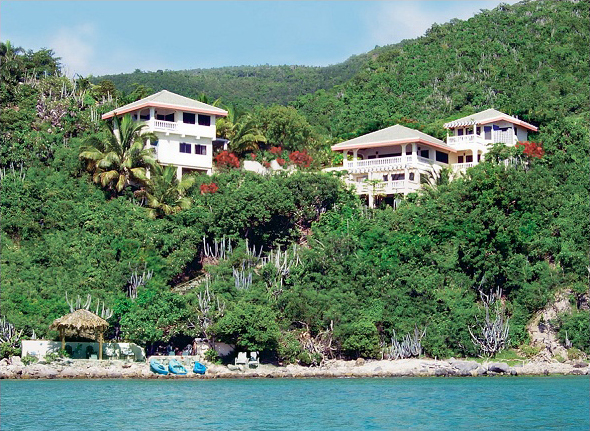 Snorkel Trips can go to three BVI islands in a day. Call DIVE BVI or other snorkel companies in THE WELCOME MAGAZINE. 3. Climb Gorda Peak National Park, the mountain behind A Dream Come True. This is the BVI’s 20th National Park. 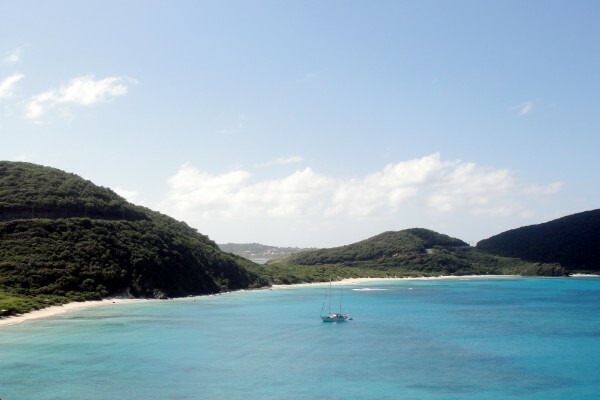 Hike to the top for fabulous panoramic USVI and BVI views! 4. Charter a Fishing Trip with a Local Guide – Deep Sea Fishing surrounds the BVI OR Flats Fishing in Anegada. 5. Plan a Romantic Sunset Cruise – by Sail or Motor – for an evening you’ll never forget! 6. A Diving Trip with DIVE BVI at the Wreck of the Rhone is a famous dive, and there are also are dives at “The Dogs” and many other locations. 7. 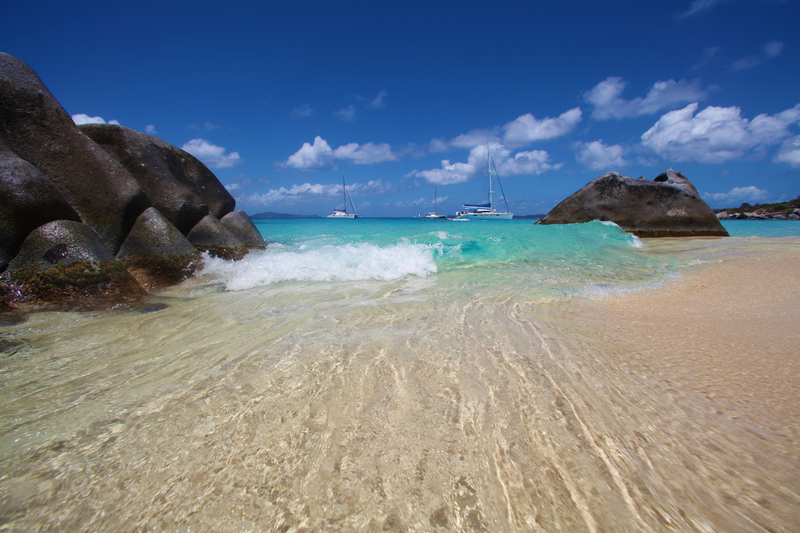 Shop or Dine at the Virgin Gorda Yacht Harbor and The Top of The Baths. Both areas offer Shops, Restaurants, and Water Views. 8. The BVI is a Haven for Water Sports – rent a sailboat or motorboat and island hop in the sheltered Sir Francis Drake Channel. 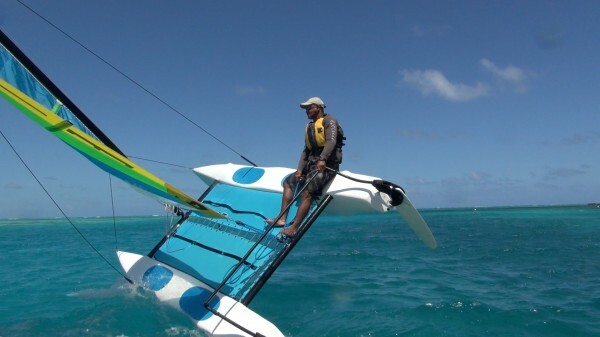 Catamarans of every size are available in the BVI! 9. Love music? Go to a Full Moon Party! 10. 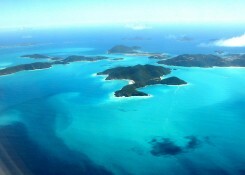 Windsurfing across turquoise seas is heavenly! Bitter End Resort rents windsurfers. 11. Tour Virgin Gorda on a Scooter! Stay to the left! Wear a helmet!Tour the Copper Mine Ruins National Park and other historical ruins on Virgin Gorda. Island maps have these marked. 12. 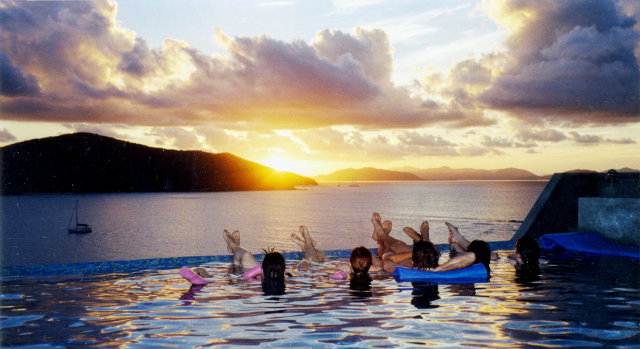 Catch Live Music – offered almost every evening at one or more of Virgin Gorda’s restaurants and resorts. Call a few restaurants or resorts for their schedules. Check ads in THE WELCOME MAGAZINE. 14. Play Tennis at Little Dix Resort (fee). Call Little Dix and ask for the Tennis Pro to set up a court time. The Copper Mine is a BVI National Park containing the ruins of a 19th- century copper mine built in 1837 on the southeastern tip of the island. 15. 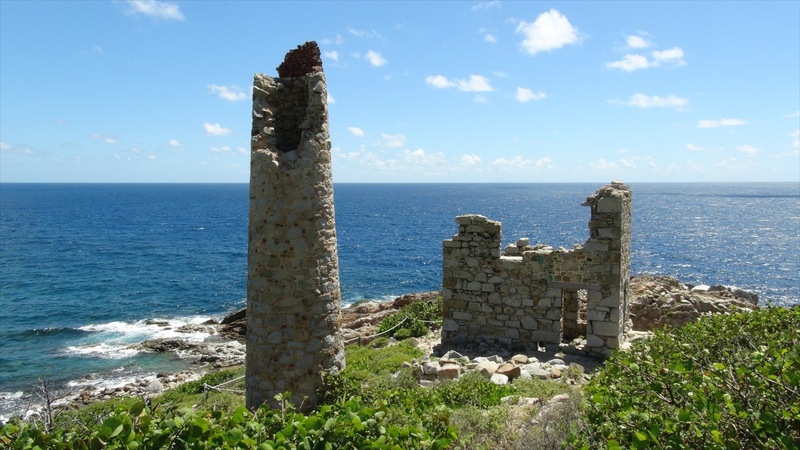 Tour the Copper Mine Ruins National Park and other historical ruins on Virgin Gorda. Island maps have these marked. 16. Yoga at your private Villa will Relax You (fee for lesson). Call The Spa at Leverick Bay Resort for a lesson at A Dream Come True Villa. Or take a yoga lesson at the lovely Spa at Little Dix Resort. 17. An Anegada Day Trip to See Flamingoes and go Snorkeling may be the highlight of your trip! Fly over in 10 minutes from Virgin Gorda; Charter on Islands Birds or take a ferry. 19. Try kite boarding at The Bitter End Yacht Club (494-2746) or paddle boarding at The Sand Box (495-9122). 20. Have fun at a Friday night Beach Party Buffet at Leverick Bay and enjoy the free music, dancing, and Jumbies on Stilts! 21. Kayak from A Dream Come True Villa with your group of 14; explore along the western beach coast as you travel toward North Sound. 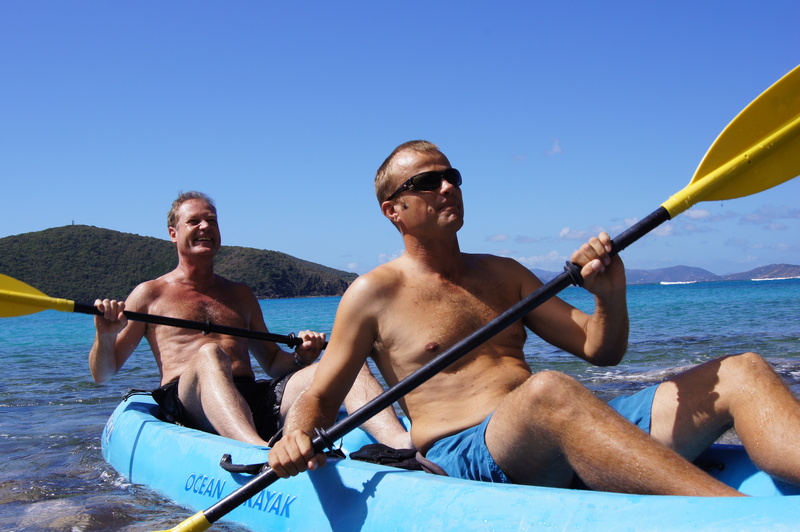 We supply 6 double/triple kayaks at our oceanfront estate so you have watersports at your front door! Swim, snorkel, and kayak! 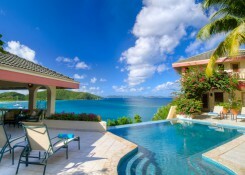 Enjoy kayaking along the western beach coast from A Dream Come True Villa’s oceanfront verandah. A fleet of 6 double and triple kayaks are available for guests. Please subscribe to my Insider’s Guide to Virgin Gorda so you can read my next posts with updates on what is happening on Virgin Gorda in the next year! One of the most important tidbits of information I give to my guests at A Dream Come True Villa is that THE BATHS NATIONAL PARK is a “must-see” experience, but there are some important details to keep in mind about planning their visit. Typical scene at THE BATHS NATIONAL PARK BEACH, Virgin Gorda. 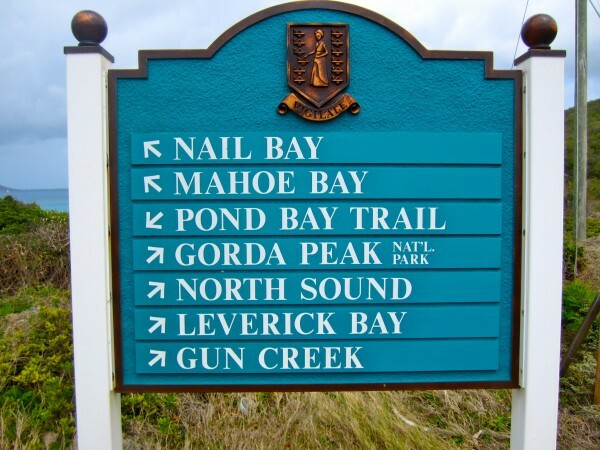 I recommend you take the trail connecting THE BATHS to DEVIL’S BAY. On this trail, you will be climbing over, under, and around huge boulders and wading through grottoes of crystal clear water – all the while hearing the rumbling and rushing of the waves beating on the rocks. This is a magical experience not to be missed. 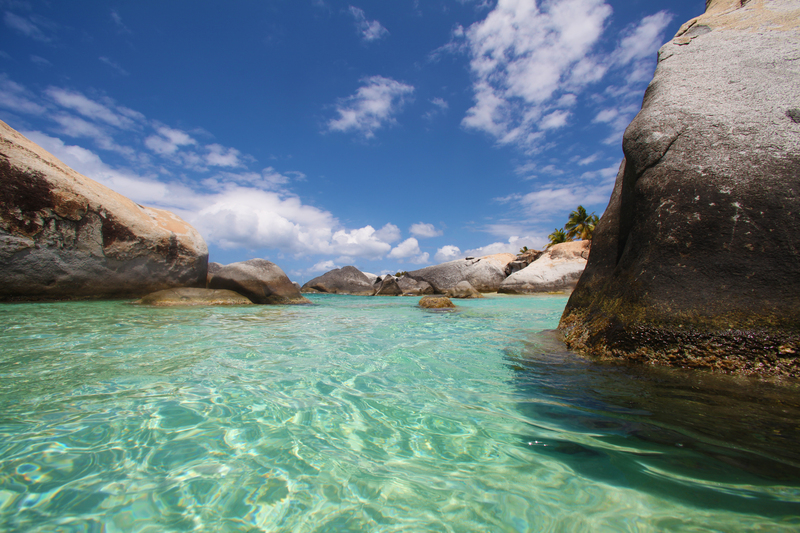 THE BATHS will be the ONLY place on Virgin Gorda where you will see a LOT of people. Tourists and cruise ship passengers from Tortola take the 9:00 am ferry to VG and return back to Tortola after 2:00 pm. Plan your trip after 2:30 pm. Visitors will also be accessing the Baths beach from yachts and boats moored off shore. You don’t want to drag a lot of stuff down the 25-minute trail hike and worry about it while you go exploring. The point of your visit is to EXPLORE the BOULDERS! 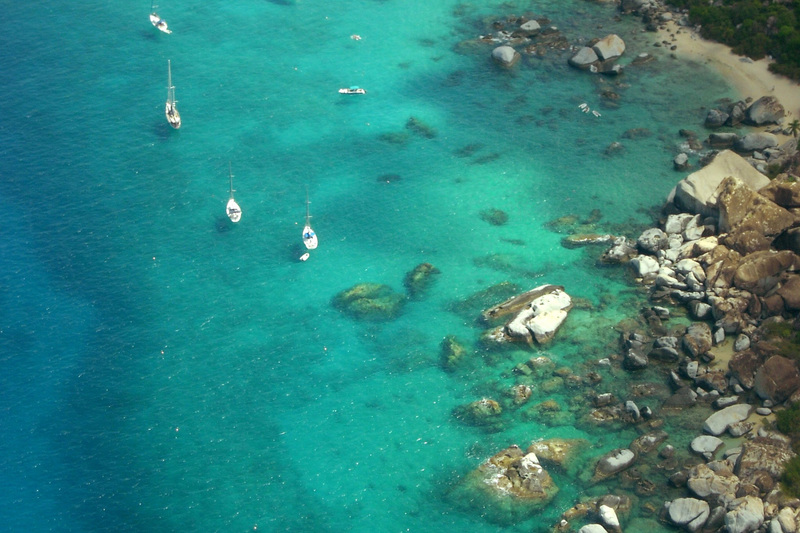 Yachts moor offshore of THE BATHS boulders and beaches, and their passengers access the beach by dinghy. The wooden walkway and hike will take you to DEVILS BAY NATIONAL PARK and eventually back to the parking lot at THE TOP OF THE BATHS RESTAURANT. It is a circle route. (If all your “stuff” is back down at THE BATHS beach, you have to go back down and get it, and you’ll be exhausted!). Your car keys – safe in a pocket because you will be swimming in grottoes and surf. A sun hat and sunblock. Wear an SPF -UV long-sleeved swim shirt. What you do NOT need: You do not need to carry a towel, cover-up, or any other belongings. This is basically a hike. You won’t be relaxing on the beach during this excursion. It is an adventure trip! Plan your trip: You can go down the trail from the parking area at The Top of the Baths Restaurant (and not go on to Devils Bay) and back up again – OR – as I recommend, do the circle route to Devils Bay Beach and around back to the parking area at Top of the Baths Restaurant. This trail often has various types of cacti in bloom as an added bonus to visiting magnificent Devils Bay Beach, which is less crowded than The Baths. When to go to “The Baths?” It can be crowded only at this beach because cruise ship excursions from Tortola and/or vacationers from Tortola come over around 9 a.m. and depart around 2 p.m. GO AFTER 2:30 P.M.
You will marvel at the indentations carved by the waves in the massive boulders. Such boulders can be seen strewn throughout The Valley in downtown Spanish Town, next to the Yacht Harbor shops and many restaurants! 10. Food? There is a snack bar at The Baths. 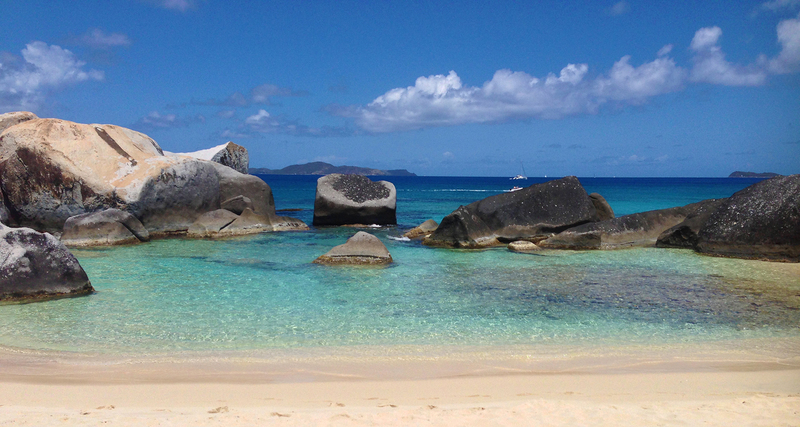 Once upon a time, I flew on a whim into Virgin Gorda’s tiny airport along the sapphire sea. The year was 1980. My husband and I took advantage of the opportunity to leave our three kids in Humaco, Puerto Rico. Relatives offered to babysit for a few days so we could travel anywhere in the Caribbean. I dropped a casserole dish the night before we left and severed an artery in my ankle, so I arrived with stitches and the doctor’s order not to swim. For three days I accompanied my husband to the most gorgeous and deserted beaches I’d ever seen – with a knee sock on one leg! the first beach we ever viewed on this precious island. As the years passed, we frequently vacationed in Virgin Gorda with our children. They grew up loving everything about the Virgin Gorda people, British Virgin Island customs, the beaches, and the flora and fauna. Entire private villa as seen from the bay. One of the many wonderful things about A Dream Come True Villa is I can kayak to Savannah Bay Beach from my villa’s oceanfront location and still be the only one there 34 years after it bedazzled me! And our kids? One daughter spent her honeymoon at A Dream Come True, and our son was married at beautiful Spring Bay National Park. 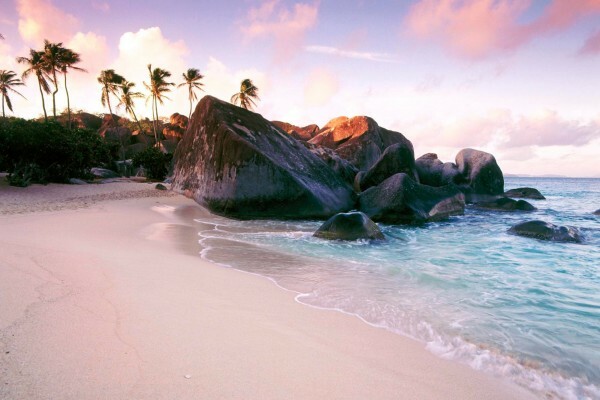 The pink and purple sunset lit the sky behind the huge boulders and turquoise waters. We now have 7 grandkids under age 8 that love Virgin Gorda, too! 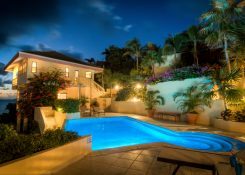 For the past 15 years, I have devoted myself to renting A Dream Come True Villa to guests and acting as their “Virgin Gorda Concierge” in advance of their stay. We have been very successful, earning all 5-star reviews. My goal is for guests to have their best vacation ever! In the process of answering guests’ questions and solving their problems through the years, I’ve become a Virgin Gorda expert. 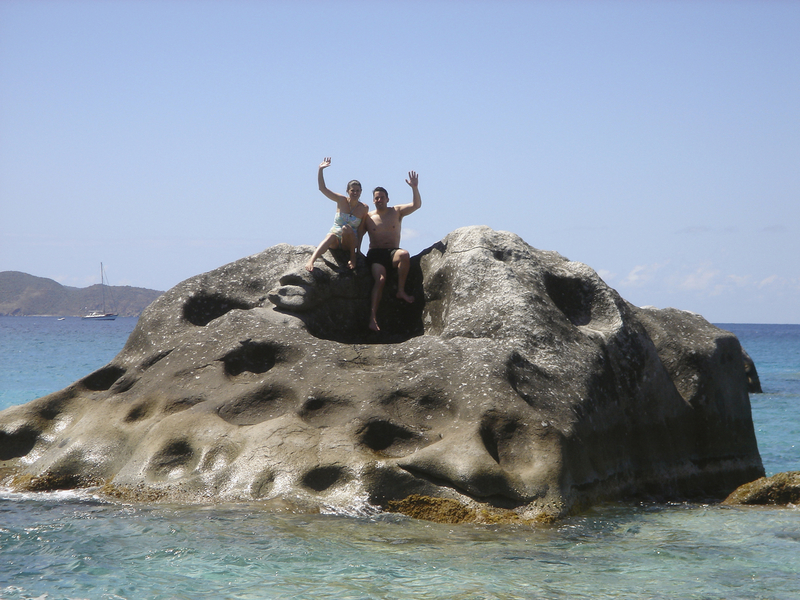 In this blog, “Insider’s Guide to Virgin Gorda,” I’d like to share my expertise with you. Feel free to ask me questions and let me solve your problems. I hope you find this BLOG helpful when planning your trip to paradise. 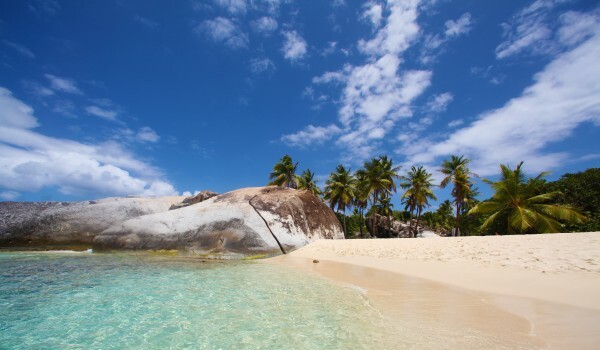 For those who have never been to Virgin Gorda, first-time guests always tell me that they are forever spoiled and never want to vacation anywhere else again!